Health is not only what you are eating! Health is also what you are thinking, saying, feeling and doing! Kundalini Yoga is an ancient science of breath and movement brought to the Western world by Yogi Bhajan in the late 1960s. Kundalini Yoga was specifically designed to balance glandular and nervous systems to develop health, fitness, relaxation, positive mindset so we can thrive in our daily lives by being more effective, productive, focused, alert, calm, less reactive, have a better digestive system, stronger immune system, sleep better, and finally have a better connection to ourselves and others, which all lead to increased vitality, wellbeing, and a higher caliber of life. Start your week by charging your mind, body, and soul with awareness, strength, and vitality! 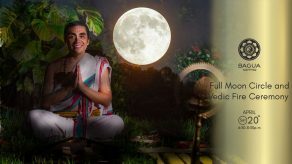 In this weekly Monday Kundalini Yoga and Meditation class, we will explore the very fundamentals of Kundalini Yoga and go deeper into the technology and science of it, strengthen the body, clear the mind, and uplift the spirit, and most importantly, we will deepen the knowledge of the inner self. We will practice postures, movements, explore breath, hand positions, body locks, and eye focus. 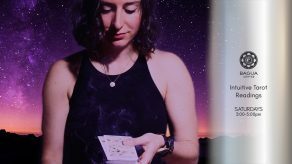 We will dive deep into the science of mantras and how they affect our whole bodily system, completing the practice with the integration of alchemy sound healing. Get ready to immerse in the power of Kundalini Yoga. 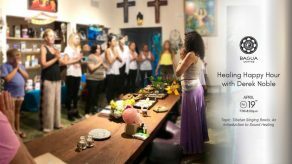 This class is for everyone whether you are a novice or a long-time practitioner everyone is welcomed. Sat Nam.